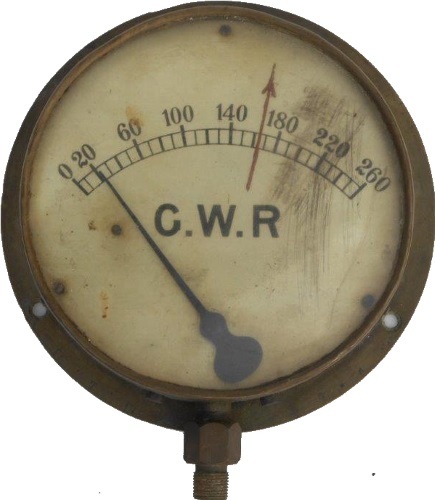 Lot 179 GWR Brass Steam Pressure Gauge. 0 - 260 lbs. Good example.